Always Remembered Bouquet is a colorful symbol of a life that will never be forgotten. 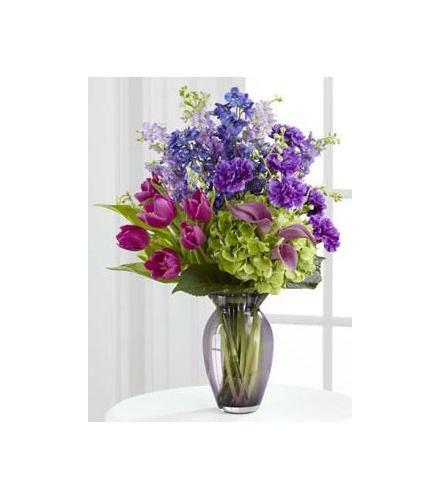 Purple tulips, blue delphinium, lavender mini calla lilies, purple carnations, lavender larkspur and green hydrangea are gorgeously arranged in a clear designer glass vase to create an emotional tribute that conveys your deepest feelings.. Luxury Flowers - Always Remembered Vase Bouquet.